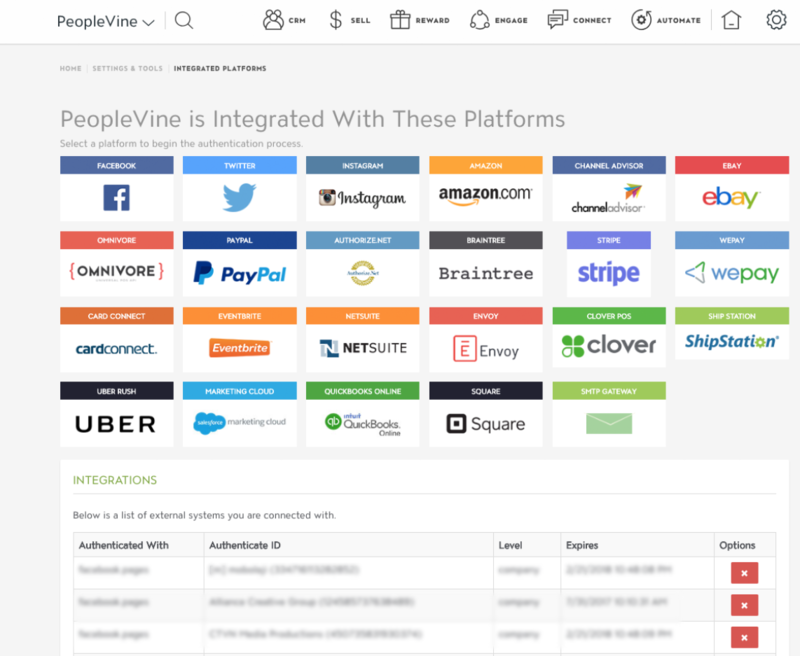 We built seamless integrations with leading providers in an effort to simplify the PeopleVine experience. Start configuring them in seconds. Once logged into PeopleVine, navigate to the control panel by click the ⚙ cog icon on the right hand side. 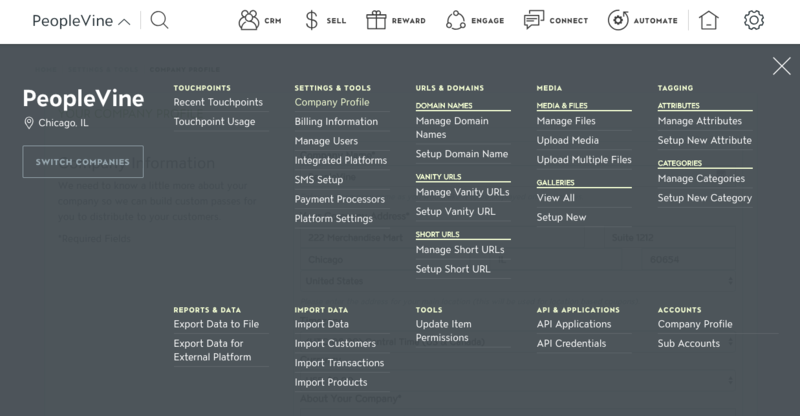 Select Integrated Platforms under Settings and Tools. PeopleVine is integrated with the following platforms to ensure the TouchPoint is captured when it occurs out of our environment. You can supply your own Sendgrid and Twilio credentials in an Enterprise license. PeopleVine also provides 38+ integration points where you can push data directly via a Web Hook to another platform. This allows you to create a real-time outgoing integration with just about any platform with a POST endpoint.